Have you ever looked at photos of Waldorf homeschoolers on social media and wished your homeschool days had the same look of wonder and enchantment? It’s easier to get a little of that Waldorf homeschool magic than you may think! 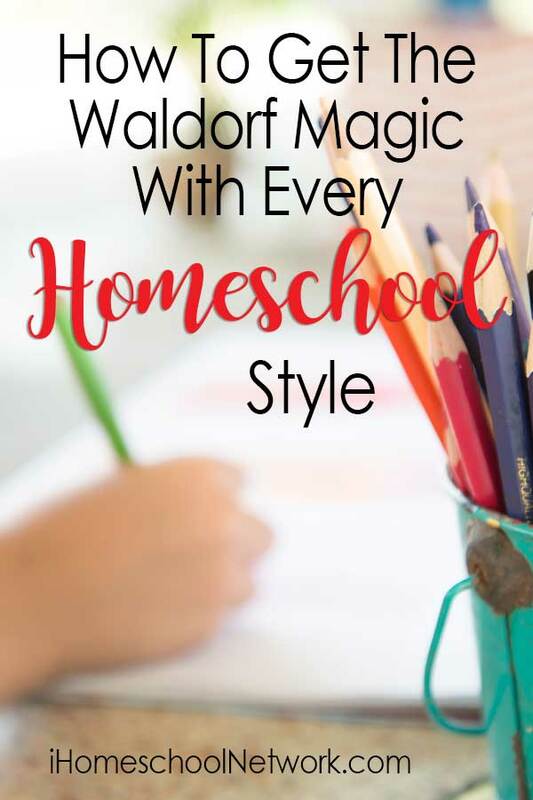 No matter what your homeschool style, there are a few small changes all homeschool moms can make to their day that will add that Waldorf sparkle. In a Waldorf homeschool stories are told more often than they are read. This is particularly true in the early grades. Now, before you panic, I am certainly not going to tell you to stop reading with your children. On the contrary, here is a mega list of books I recommend for you to read with you kids. Go ahead and read them all! But set aside some time in your lessons and try telling stories instead of reading them. Telling stories allows for a deeper connection than reading because your eyes are on your child instead of on the book in front of you. You can watch their faces and gauge their expressions. This gives you the opportunity to make real-time changes to the story or your delivery in response to your child’s cues. Waldorf mamas and teachers often use puppets, props or fingerplays in their storytelling. It adds another dimension to the story and helps the child carry the story into their play. Waldorf moms and teachers tend to sing throughout the day. There are a few reasons for all the singing. Singing brings a feeling of joy into the day. Go ahead and try it. I will bet you that singing helps to keep everyone in a happy frame of mind. Singing helps everyone focus. You may find this particularly helpful if you have small children who wander off task. Singing through the activity helps keeps their minds focused while their hands are busy. This works particularly well during cooking, handicraft or art lessons. Singing helps to scaffold our lessons. Adding songs to our lessons is an easy way to introduce vocabulary and impart information while adding a fun and creative element to our children’s learning. Children tend to retain information better when it is presented in the form of a song. Singing helps ease transitions. Have you ever been envious of how easily Waldorf families seem to flow from one activity to the next? Often there are little songs, usually just a few lines, that are sung to signify the beginning and end of activities. This helps to gently ease children in and out of the lessons so that everything seems to flow like magic. Try softly singing a rhyme or a prayer at the start of your meals to ease yourself into including singing as a part of your everyday. The number one thing I love about planning and implementing Waldorf inspired lessons in our homeschool is the creativity involved. Rudolf Steiner, the founder of Waldorf education, specifically called on teachers to use their creativity. And this doesn’t just mean include lots of art! Teaching creatively means bringing your own flair to your lessons. Using stories and singing in your lessons is a great place to start. But you can also bring lots of hands-on learning into your child’s day, include art and craft projects to enhance your lessons or try including dramatic performances as a way to consolidate learning. If creativity doesn’t come easy to you (and I’ll be honest; it doesn’t always come easy for me even after years of Waldorf-inspired homeschooling), you can’t go far wrong if you fall back on the quintessential Waldorf idea of teaching head, heart and hands. What is head, heart and hands teaching? What we really mean when we say this is to apply a multidisciplinary approach to all of our lessons so that our children can learn using their minds, all of their senses, and form an emotional attachment to their work. On a practical level, try incorporating interesting stories, get your children moving their bodies or working with manipulatives, and include an artistic element to your lessons. Start by adding movement and an artistic element to each of your lessons. Of course the easiest way to include the Waldorf feel in your days is to try using some of the beautiful materials. Try wet-on-wet watercolor painting in your next art lesson, have your children illustrate their work with beeswax crayons or add in some knitting lessons with vibrantly colored wool yarn. On the play front it can be as simple as adding some playsilks into their toy rotation. Go for open-ended toys made of natural materials. And keep the number fairly minimal to encourage your kids to use their imaginations! Add in a basket of shells, sticks and stones found on your nature outings and you have the perfect Waldorf play set up. You don’t need to change all of your materials at once. Try adding one new material at a time. Wanting to include a little of the Waldorf magic into your homeschool doesn’t mean you need to change everything you do. If your current homeschool style is working for you, you can simply tweak things by adding a new element to your days or introducing some new materials into your home. But if you have become completely enchanted and want to embrace Waldorf inspired education in your home, start with this list of 100 Things to Know About Waldorf Inspired Homeschooling. 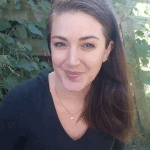 Kirstee is a homeschool mama from Australia. She has one husband, two children and a mastiff who thinks she’s people. Nikolai is in fourth grade and Wynter is almost four. Their days are spent learning around the kitchen table or wandering the mountains and forests with friends. You can find her in her half renovated home, nestled between the mountains and the sea, or on the pages of her blog This Whole Home, where she offers practical advice and inspiration to Waldorf-Inspired mamas and holistic homeschoolers.